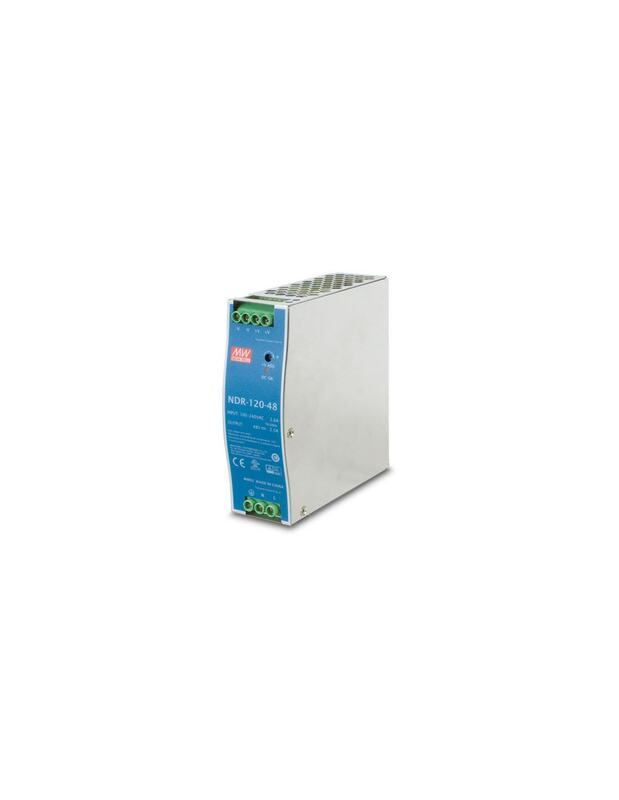 This DC Single Output 120W 48V Industrial DIN Rail Power Supply is specially designed to ensure easy access to DC voltage power in harsh working environments. This compact unit accepts universal 100-240V AC input voltage and provides 48V DC power output and can be installed on DIN rail TS-35 / 7.5 or 15. It's an ideal and convenient DC power solution for industrial equipment in a heavy working environment. 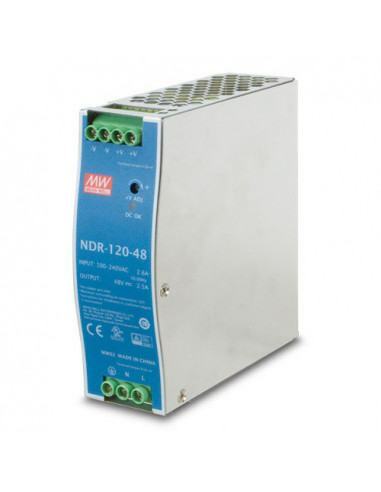 PLANET DIN rail power supplies come with short circuit, overload, over voltage and over temperate protection. Its free air convection cooling system prevents temperature from rising, allowing operation between -20 to 70 deg C maximum. *The specification is for PWR-120-48 hardware version 2 only.